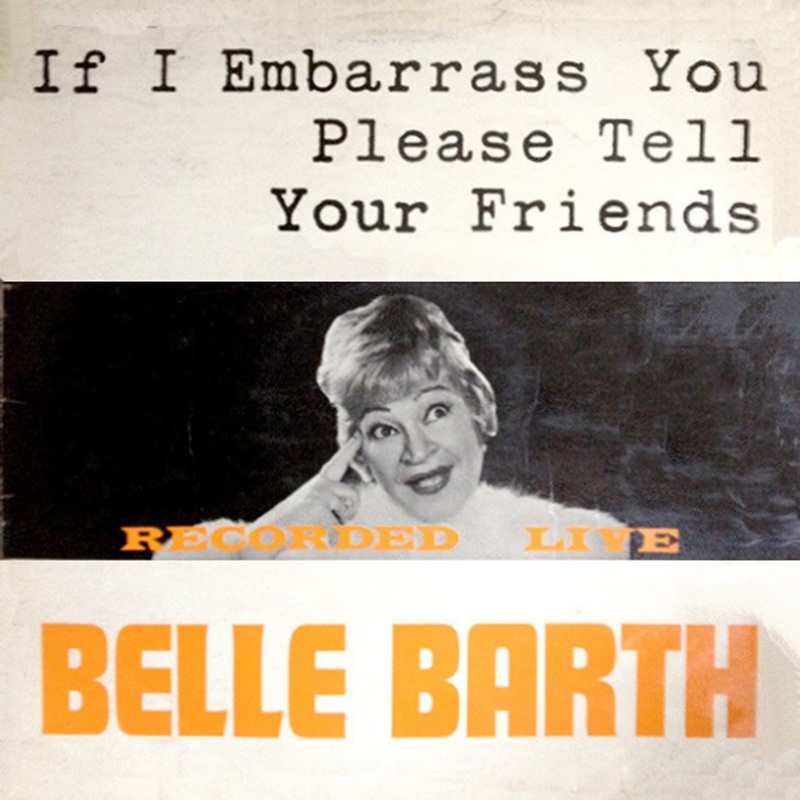 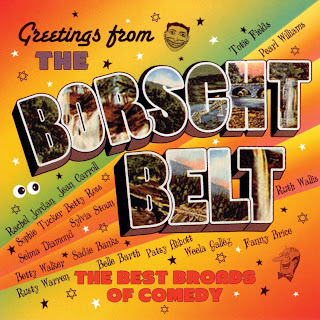 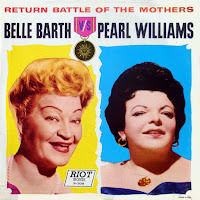 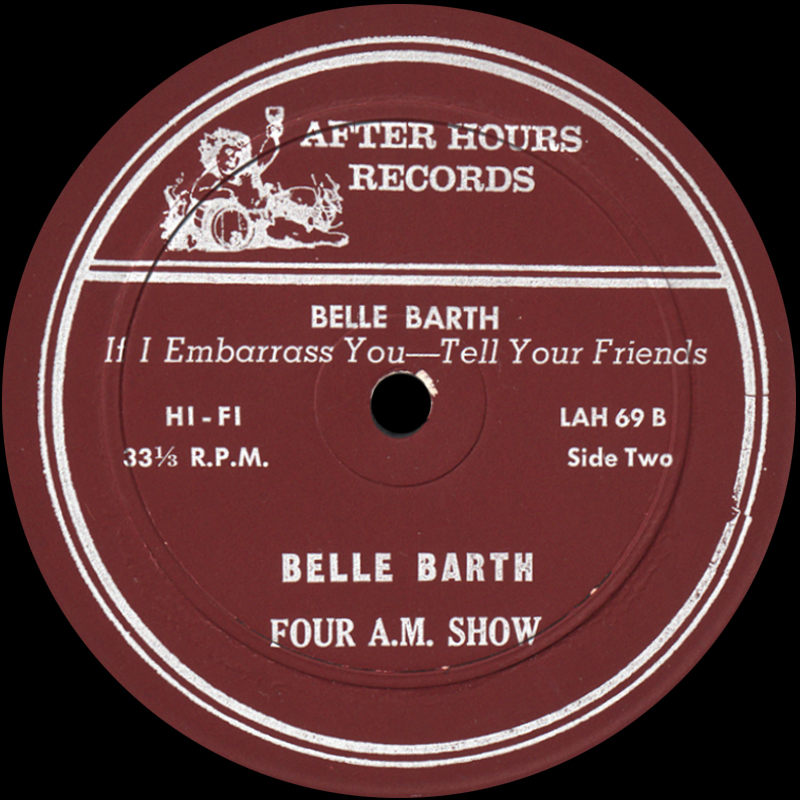 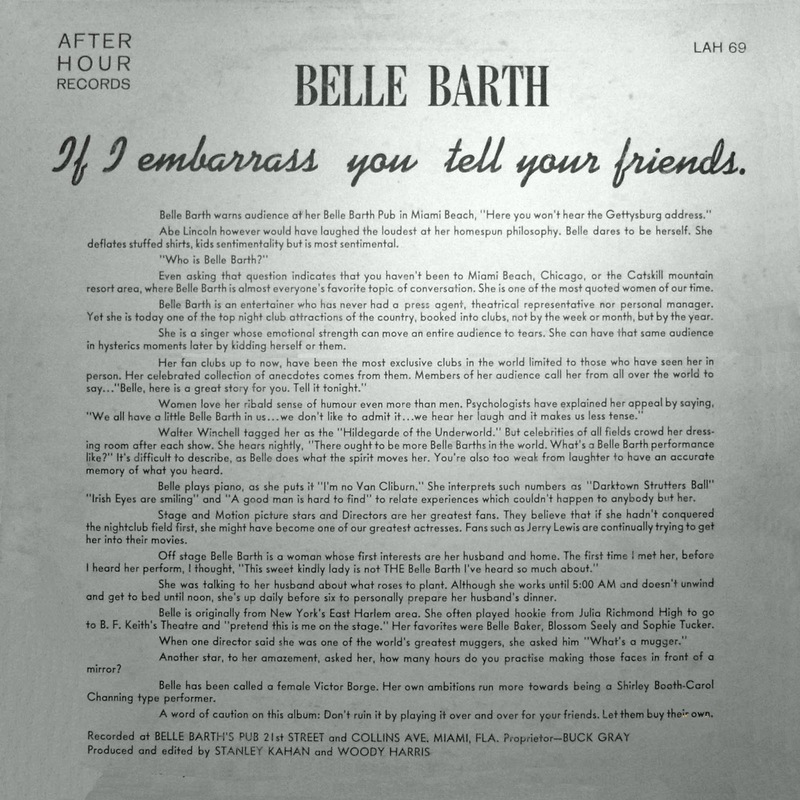 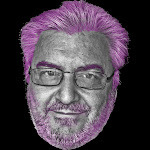 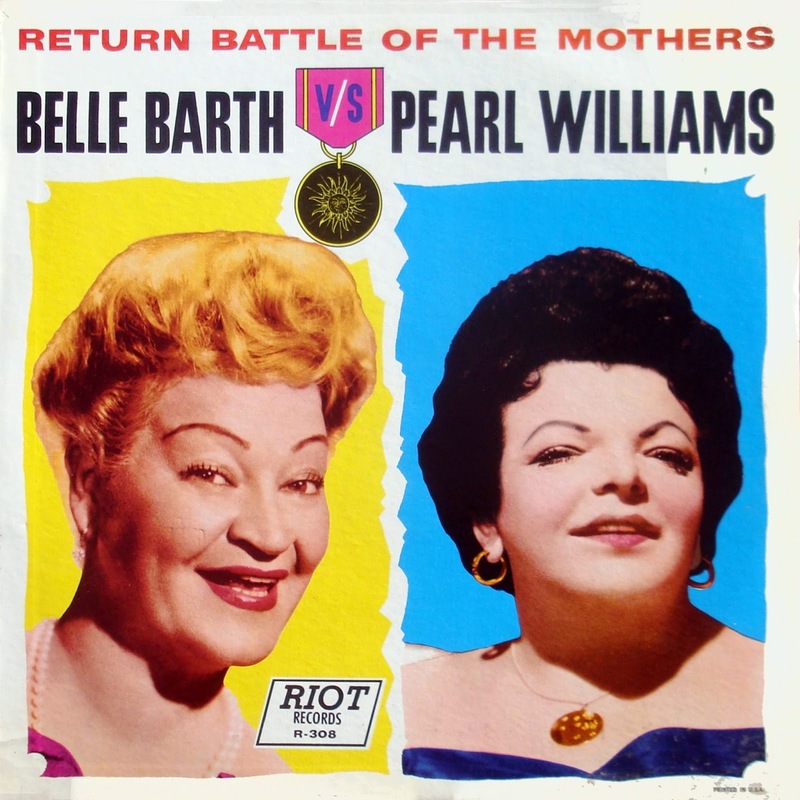 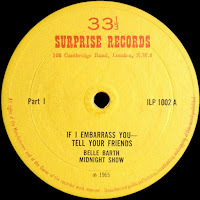 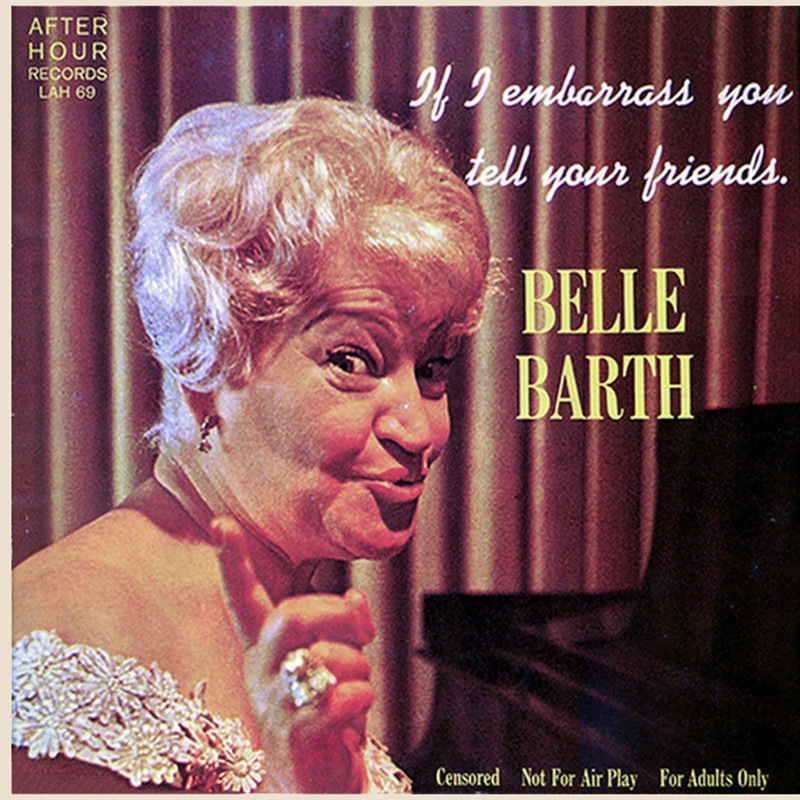 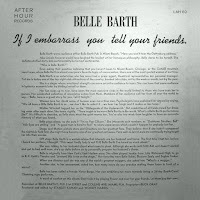 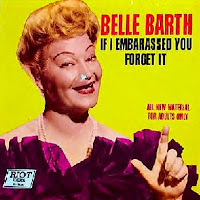 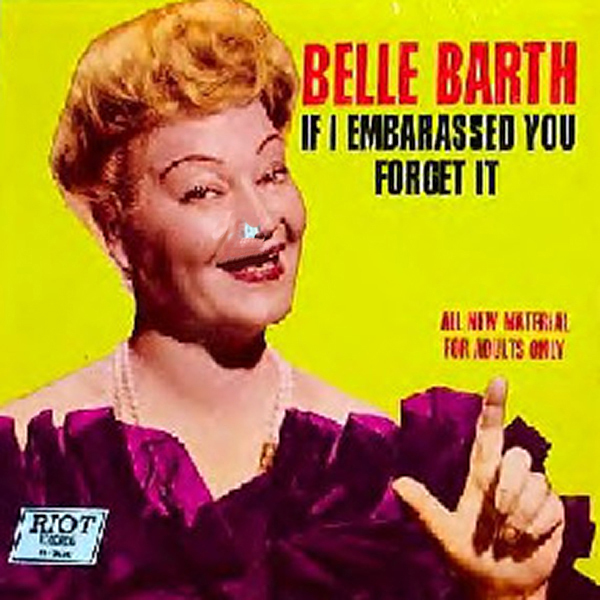 2 comments on "Belle Barth - If I Embarrass You Tell Your Friends 1960"
Belle is responsible for me starting this blog. I tried to find her album(s) on line for ages. 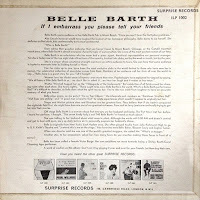 When I couldn't find any, I started posting "wants" and then material that I had. 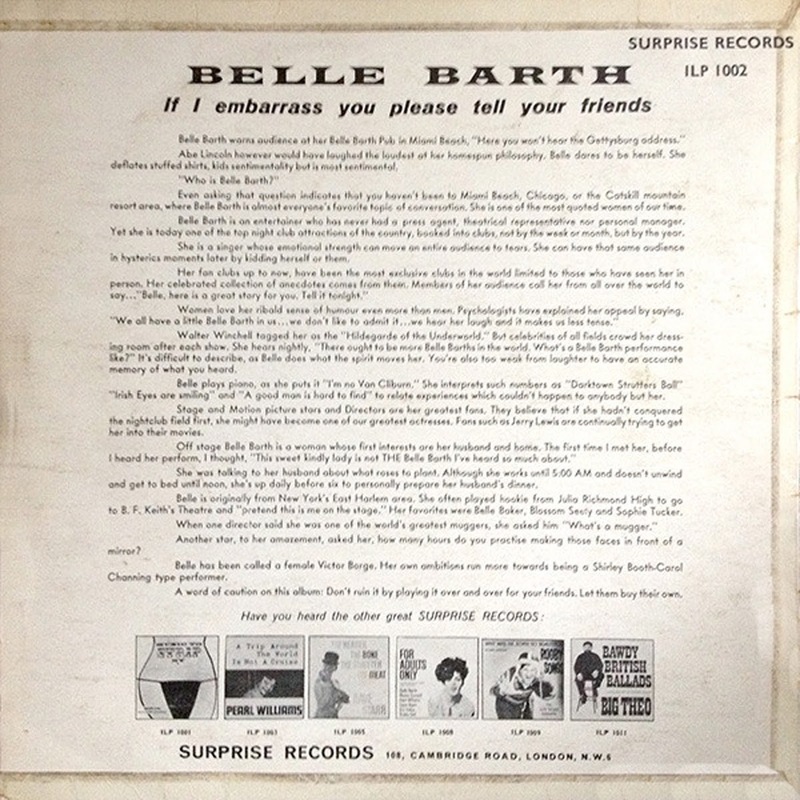 It was a full year before someone sent me 3 or 4 of her albums.